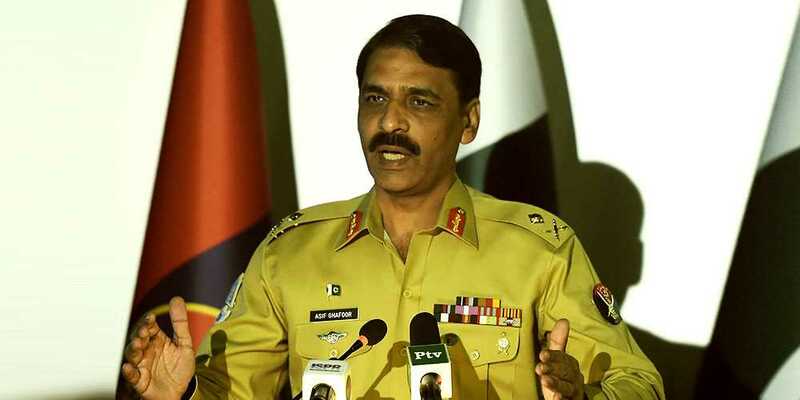 Reacting to the Indian army chief General Bipin Rawa’s provocative statement, Director General Inter-Services Public Relations (ISPR) Maj-Gen Asif Ghafoor on Saturday said India should stop ‘war mongering’ and ‘not take the nuclear armed state’s overtures for peace as its weakness’. Speaking to a private TV channel, the spokesperson of the military’s media wing said that India should act sensibly and should not try to disturb regional peace. "We are always ready and prepared for war," Major General Asif Ghafoor said. DG ISPR said that the third generation of Kashmiris is rendering sacrifices for their liberation against the occupying forces. "The Indian government has failed to clamp down the political struggle of Kashmiris" the spokesperson said. He said that the government of Pakistan's offer for dialogue is still on the table. Major General Asif Ghafoor said that Pakistan has successfully fought against terrorism adding that the country has established peace after two decades of struggle. "We know the cost of peace and we want to take it ahead," he said.